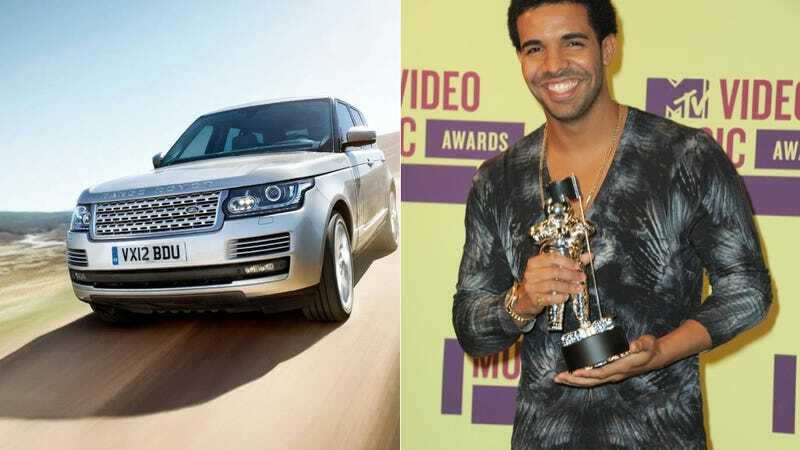 A fire at a car dealership in the Toronto suburb of Thornhill this week destroyed several Jaguars and Land Rovers, one of which reportedly belonged to Canadian actor Aubrey Graham, who most people know as Jimmy from Degrassi. These days he calls himself Drake for some reason. Canada's National Post reports that an electrical fire sparked up in a Range Rover, and the flames spread to two other Land Rovers and a Jaguar. The fire did more than $400,000 worth of damage according to the local fire chief (who is hilariously named Larry Bentley), and the most expensive one destroyed was the douchily-named but awesome to drive Range Rover Autobiography. Hopefully the fire was electrical and not arson. Otherwise, someone might make Drake catch a body like that. We all know how tough and hard he is in real life.